HORWICH juniors were again on form at two national cross-country events at the weekend. 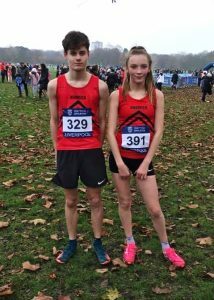 In the British Athletics Cross Challenge in Liverpool, Toby Middleton and Georgia Heath both finished high up in the large fields of runners, both around a minute behind the winners. Meanwhile, 250 miles away in Suffolk, at the English Schools’ Cross Country Championships, Harriers had three representatives running in their school colours. Eva Baldwin had a great result in 11th place and was joined by Isabella Merritt in helping the Canon Slade team take 10th place in a competition of 27 school teams. Meanwhile, Hannah Camden was second scorer for Loreto Grammar. 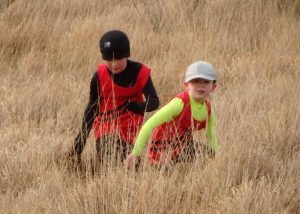 The junior Harriers squad will now set their sights on the county cross-country championships in two weeks’ time. For the seniors, fell running has been the priority and at the Lee Mill relay race at Bacup, which always attracts a quality turnout, Horwich men were pleased with their seventh place out of 85 teams in all categories. James Kevan was fifth fastest individual and Alex Fowler 11th. The scratch women’s team also had an impressive result of fourth as Lindsey Brindle was second individual female, beaten only by one of the winning Ribble Valley women’s team. 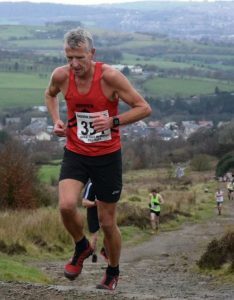 The Harriers’ vet fell runners have been harvesting age-category prizes of late and Mark Seddon was 15th out of 221 in the Kong mini mountain marathon on Sunday. This earned him the MV50 series prize for 2018. Julian Goudge last week took 13th place in the tough Tour of Pendle, over a 16.8-mile and 4,833-feet ascent course. Goudge was first M45 and Michael Crook was second M70. Dan Gilbert has stepped up in form this year and at Kirkby Moor he was fifth and took the M40 prize, while David Barnes secured the M60 prize, albeit 15 minutes behind Gilbert. On Sunday, Mark Walsh was ninth at the David Staff Memorial race and won the M50 prize. Tony Varley was second M70 in the same race. 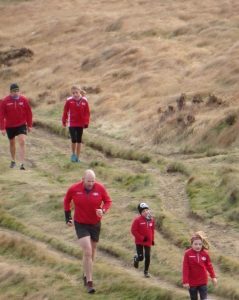 Juniors and their parents were out on Sunday for a Rivington Pike Challenge, running as many times as possible up and around the tower. The event, organised by Tony and Brenda Hesketh, raised in excess of £500 for Children in Need. It was useful fell experience for the youngest members, some challenged by the navigation but always under the watchful eye of the senior members. On the road this week, David Purnell was third at the Lancaster 10k where he was also first M50. In parkrun, Richard Howarth scored yet another first place at Cuerden Valley and three juniors had top-three places; Lucas Milliken was second at Worsley Woods, Imogen Andreassen was third female at Haigh Woodland and Alyssia Jackson was second at the Queens Park junior parkrun with a new personal-best time. David Crawford flew all the way to Melbourne, Australia to record a parkrun result at Gardiners Creek where a marshal gave him the ultimate Aussie accolade of ‘not bad for a pom’. 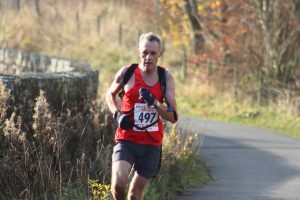 Lee Mill fell relay (Bacup) – 5th James Kevan 45:48, 11th Alex Fowler 47:49, 51st Lindsey Brindle 53:04, 71st Andy Lloyd 55:14, 141st Chris Heys 59:54, 157th Kimberley Chadderton 1:00:53, 256th Suzanne Budgett 1:09:24, 291st Maria Lowe-McMyler 1:14:57.